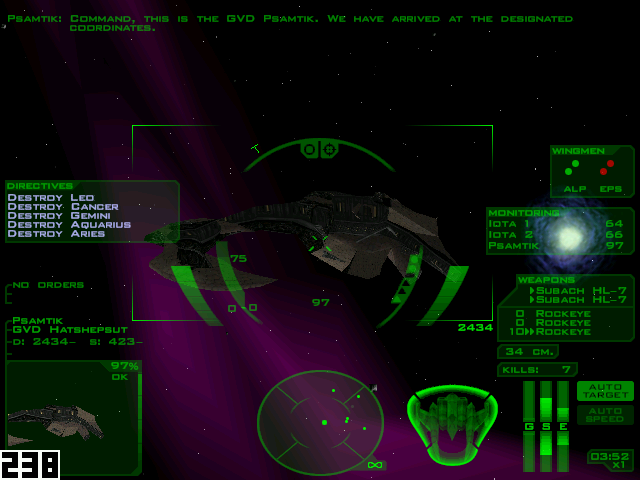 After porting the main FreeSpace 1 campaign to FreeSpace 2, creating Silent Threat: Reborn, sprucing up Operation: Templar, and porting numerous fan-made FreeSpace 1 campaigns to FreeSpace 2, what could we follow that up with? Well, we've come to realize that porting FS1 content to FS2 is merely half of the potential that the FreeSpace Port has explored. We've opened up ways to play classic FS1 campaigns with the slick new FS2 engine, not to mention adding all kinds of optional SCP enhancements (to the extent that people are often misled into believing that the SCP is required to use the Port). Why not go in the other direction, and allow players to enjoy the latest FS2 campaigns in the classic FS1 experience? 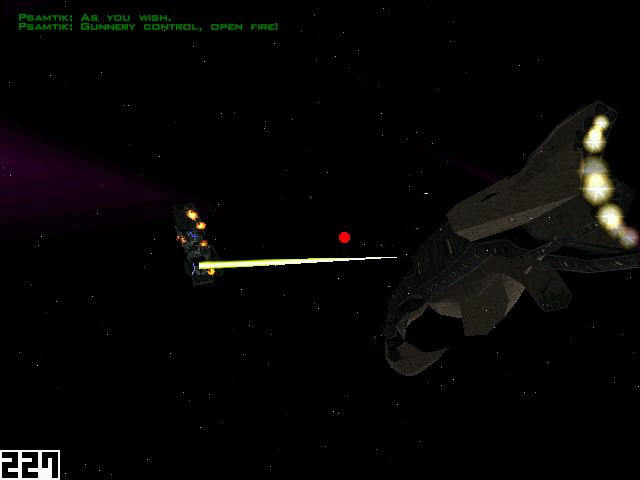 Today the FSPort Team is pleased to unveil its latest project, a port of FreeSpace 2 to FreeSpace 1. This is merely a demo, not the full campaign, but we couldn't wait to share our progress. So far, we've ported the first three training missions as well as the first three missions of the campaign -- the entire 53rd Hammerheads arc. We've had to surmount numerous challenges, not merely the differences in model, mission, and table formats; but also reverse-engineering some of the FS1-specific behavior that was later changed in FS2. We hope you have as much fun playing it as we had creating it. It should be noted that the FreeSpace Open Installer does not currently support mods for FreeSpace 1. I have created a formal feature request on GitHub. Truly, this is the greatest accomplishment in human history. This sounds like a great chance to bring the FS2 script up to FS1 standards! 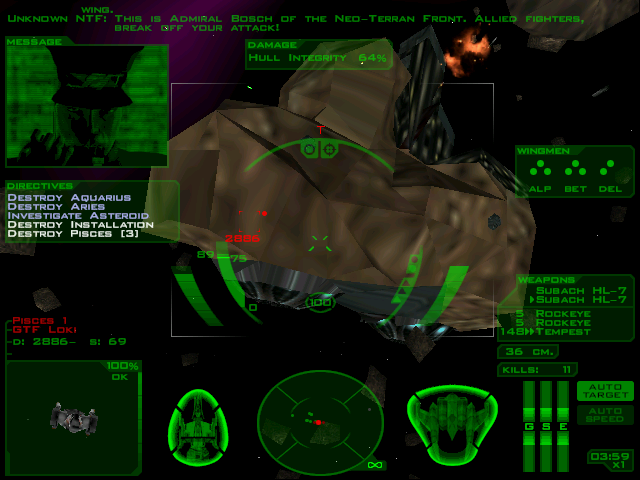 Whats the word on Descent: FreeSpace 2? I'd love to be able to fly the inside that asteroid base and defeat the NTF bots. Edit: Nooo, wait! I rethinked that and I found it as a cool idea ! Tempting! But that would be an ambitious project, and we'd lose the voice acting. We should probably start with a smaller project, like nostalgiafying Silent Threat: Reborn. We could reduce the number of characters, make the GTI more mysterious, and simplify the missions. Though we should probably save one grand battle for the final mission. Sadly, my experience with modding Descent is nonexistent. I believe Galemp has done some work in that area, but not recently. So it is really happen. 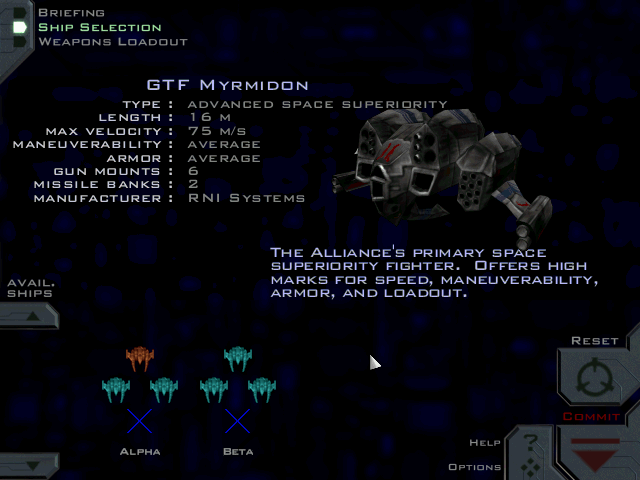 After 14 long years, Freespace 2 finally arrived on Amiga . I expect that others will follow you and we'll get all magnificent campaigns in one truly great FS1. You mad geniuses...you're literally making me fire up a GOG redownload right now to see how this works. Ho. Lee. Snap. You're kiddin' us, right? This is a joke, April Fool's, right? Actually... it's working quite good for a April Fool ^^. 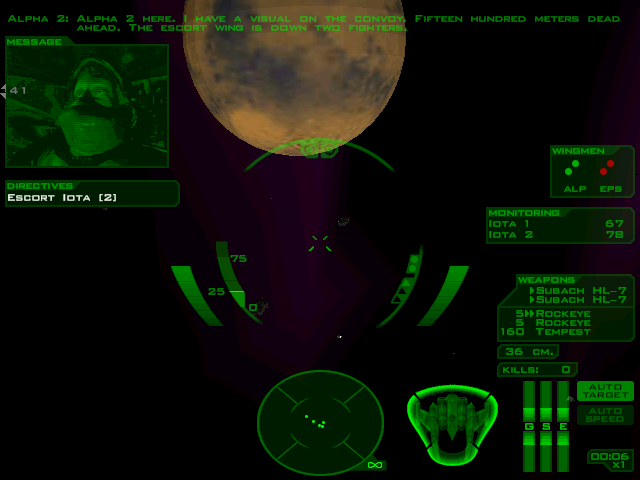 The first time i enjoyed to play Retail Freespace 1 again in ages. Man I missed that GREEEEEEENNNNNNN HUD. I always switched to blue personally. Are you going to port the most popular FS2 mods over to FS1 as well? I've always wished I could play FSPort in the FS1 engine! To bring FS2 to the Pentium 133MHz (or 166MHz without a 3D accelerator) masses. If that is not a reason, even i do not know. I have one small response.